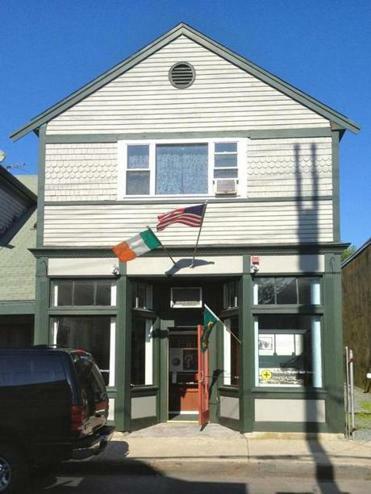 The Museum of Newport Irish History traces the contributions of Irish immigrants in Newport County since the 1600s, which have ranged from working as laborers in the construction of Fort Adams to serving as mayors of the city. NEWPORT, R.I. — Long before the blue bloods turned this city into their summertime resort, green coursed through the arteries of Newport. In the early 1800s, Irish immigrants started coming to this corner of Rhode Island in large numbers to work the coal mines in nearby Portsmouth. During the Gilded Age, Emerald Isle immigrants began to settle in the Fifth Ward, a working-class neighborhood sandwiched between Newport’s commercial waterfront and the opulent oceanside mansions of the rich and famous. Today, the tight-knit enclave of two-story, sidewalk-hugging houses remains the Hibernian heart of one of Rhode Island’s greenest cities, and since 2011 it has been home to the nonprofit Museum of Newport Irish History. Located on Thames Street, the backbone of the Fifth Ward’s skeletal grid of narrow streets, the modest interpretive center charts the history of Irish immigrants to Newport County from the 1600s to the present day. Photographs, videos, artifacts, and maps show how Irish-Americans in the city lived and worked, played and prayed. The museum is located on Thames Street, the backbone of the Fifth Ward’s skeletal grid of narrow streets. Interpretive panels describe the experiences of the Irish who worked as servants, gardeners, coachmen, and grooms in the “big houses” owned by the Vanderbilts and Astors. 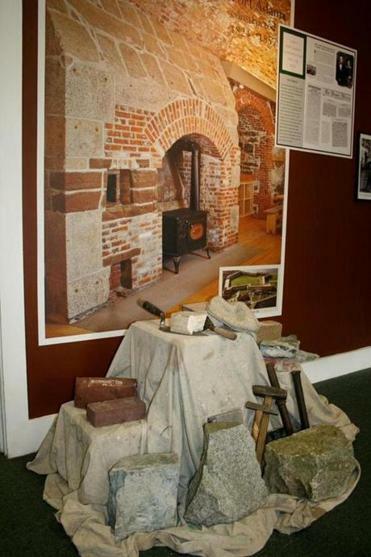 Another exhibit focuses on the construction of massive Fort Adams, built between 1824 and 1857 by hundreds of Irish laborers, bricklayers, and stonemasons recruited by the US Army. In addition to outlining the Irish contributions to Newport’s economy, the center details their cultural and political achievements as well. One exhibit features the dozen mayors of Irish ancestry who have served Newport since the election of Patrick Boyle in 1895, and another celebrates St. Mary’s Church, where the country’s most famous Irish-American politician, John F. Kennedy, married Jacqueline Bouvier in 1953. A 15-minute video also profiles the history of defunct St. Joseph’s Church, the state’s first Catholic parish when it was established in 1828, and the museum’s 1999 restoration of the historic parish cemetery. To explore more of Irish Newport, pick up the museum’s brochure that highlights other Celtic sights of interest around the city. In addition to Fort Adams, St. Mary’s Church, and St. Joseph’s Cemetery, the tour includes Inchiquin, a Bellevue Avenue estate built by a direct descendant of the medieval Irish King Brian Boru. The tour also stops at the Cliff Walk’s Forty Steps, where in the shadows of the famous mansions in which many of them worked, the Irish sang songs they brought with them from across the sea, danced away summer nights, and embraced Newport as their own. MUSEUM OF NEWPORT IRISH HISTORY 648 Lower Thames St., 401-848-0661, www.newportirishhistory.org, March 8, 9, 14, 15, 16, noon-4 p.m. May-October, Thurs-Sun, noon-5 p.m. Admission by donation. Christopher Kein can be reached at www.christopher klein.com.